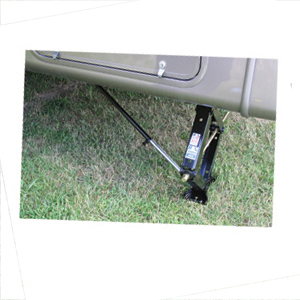 * Eliminates most trailer movement associated with existing leveling or stabilizing jacks. * Adapts to most crank down leveling/stabilizing jacks. * Installation is a simple one time, bolt on application. * Unique swivel mount works at various jack angles. * Telescopic Lock-Arm travels up and down with jack for easy set up and storage. * Uses 1/4 inch crank handle to lock and unlock Lock-Arm. * Two Lock-Arms and complete mounting hardware included. "Excellent service and shipping was very quick!!!" "Good quality connector hose that arrived faster than I expected. I've bookmarked their website..."
"Shipping was quick and the product was as advertised. Perfect fit." "RV Plus had the best price I could find anywhere, and their shipping was extremely fast...."